and we’ll send you a customized leather valet as a thank you! Saintly aspires to be more than a travel lifestyle brand. We want to create a travel ecosystem where our followers can discover how others have traveled to specific cities and regions. Hearing from like-minded travelers is the best way to understand a destination and plan a trip. Our goal is to host numerous posts for each city, providing information and a brief review on the hotels, restaurants, nightlife, and local attractions others are most likely to visit. We’re looking to you as a contributor! Through our Guest Writer Program, you can write short briefs that conform to our format. Other travelers will be able to draw inspiration from your travels as they plan theirs. …for writing about 2 of your recent Journeys, we’ll send you a Saintly Leather Valet, fully customized to your choice of leather, hardware, and stitching ($95 value). Once you’ve been approved, you can go ahead and write about your Saintly Journeys. Please keep it succinct but informational. Image Guidelines – 10-15 images, fully edited. Please limit posed pictures or selfies to 1 max. Also, please include a brief description for each photograph. We’ll need to review and possibly make slight edits to ensure that your post conforms to our standards and blog format. We’ll also send you an email to customize your leather valet and send it to you right away. We haven’t built this page yet, but you can use our bag customizer and Inspiration pages to better understand your material options. Make final edits and post your Saintly Journeys to our websites. Make final edits and post your photographs, including the likeness of all included, to our websites and social media profiles. 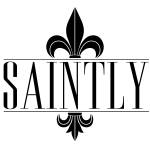 Our websites currently include the Saintly Bags website, but could in the future include a separate Saintly Travels or similar website. By providing us links to your own blog, website, Facebook, Instagram and other social media links, we may link to them for your benefit as well.